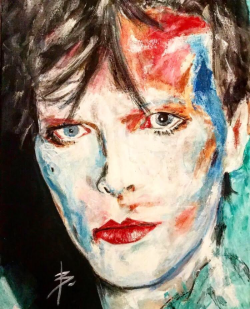 On March 6th 2019 Cabaret vs Cancer will stage the forth annual cabaret tribute to David Bowie, alongside this event we present our fourth charity auction. 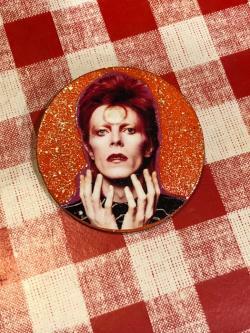 Our FOURTH Charity Auction of David Bowie Art and Collectibles. 100% of net proceeds will be donated to Cabaret vs Cancer, helping those affected by cancer. All items have been donated by the artists and makers. You will be required to pay for inspured shipping for your winning lot . Auction image by Brian Clearly. Thank you to all the contributors, every item has been donated, free of charge ot Cabaret vs Cancer to help our work supporting families affected by cancer. We also have LIVE events in Edinburgh and London this January and March! 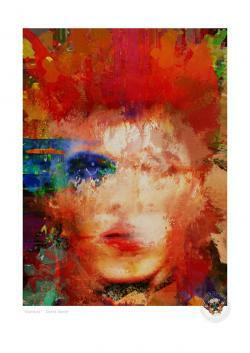 The Duffy archives have donated one of these David Bowie prints which were produced for the V&A touring exhibition ‘David Bowie is’ which achieved over 2 million visitors worldwide. This auction is for an A2 sized mounted print, containing two photographs. These open-editioned archival pigment ink prints are embossed with the Duffy Archive stamp. On the reverse of each print is a description of the print and is the hand stamped ‘DUFFY’ logo (which is an exact replica of the stamp that was stencilled onto all of Duffy’s original camera cases). Finally each print is sleeved in an acetate clear bag. Minimum bid is £221 (Bid increments are £10). This edition only has two similar copies in existence ie 1x Artist's Proof (for this special edition) and 1 was sold as an unsigned edition. The image has been re-artworked from the original and includes the BFA 'New Beginnings/Morphogenesis' Logo bottom right of the image which doesn't appear on the other online editions. 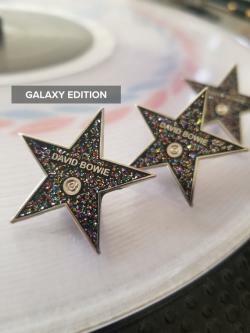 It is hand-signed, with edition particulars 'Special Edition 1/1' and includes a certificate with hologram. 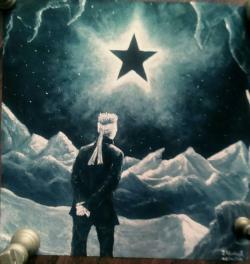 It was completed on the third anniversary of Blackstar on what would have been David's 72nd birthday and the date is with the signature. This limited edition piece is also hand signed by the artist. Minimum bid is £92 (Bid increments are £2). 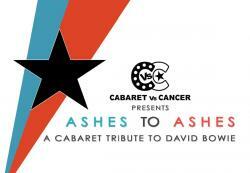 For the THIRD YEAR Nicholas Pegg has supported Cabaret vs Cancer and our Ashes to Ashes auction. Your chance to bid on a VIP bundle at our show this July 18th at Wiltons Music Hall! 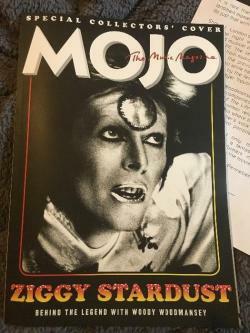 This edition of MOJO (April2017) was given away at the screenings of Ziggy Stardust &the Spiders from Mars showing at cinemas. This is a mint edition copy and is out of print. 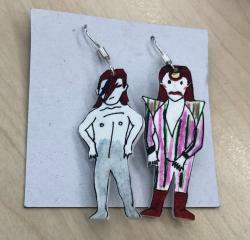 Minimum bid is £16 (Bid increments are £3). 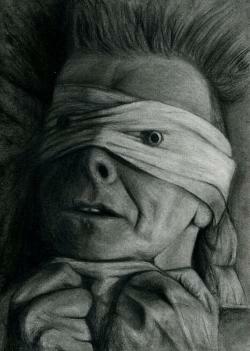 Part of Mark's David Bowie series, here he is in the amazing Lazarus video as charcoal drawing. Printed onto 230gm Archival Matt Fine Art Poster Paper using Fine Art Glicee printing and museum quality Fine Art Guild Trade Approved equipment and ink. This is an A5 print presented in an A4 carboard mount - all ready to frame! Mark is a self-taught charcoal portrait artist based in south London. His art is a reflection of his love for music. As well as working on personal and commissioned projects, he is also an academic support tutor at University of the Arts, London. A3 sized, graphite, prismacolour pencil and SMART glow paints. These are the day and night views. By John Foley, a retired teacher who only started painting six years ago. 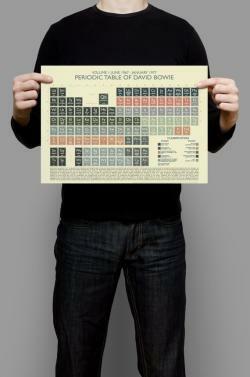 Awesome, high quality, screen printed tea towels, 100% cotton, and are a 170gsm weight. Each towel will has a cardboard 'belly band' and will make an excellent gift. 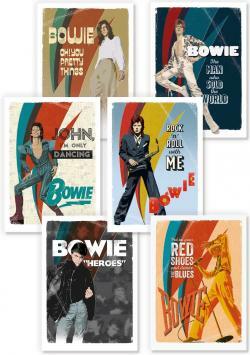 These are a set of six original designs, based on iconic Bowie images, officially licensed by the company appointed by the David Bowie estate, and has been created as official David Bowie merchandise. Each item is produced as a set of six A6 postcards with glossy front face and classic postcard layout on the reverse. These look great mounted and framed as mini-prints. 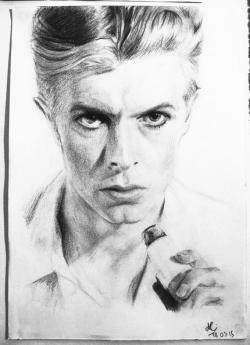 This is a print of a drawing of David Bowie, in his Thin White Duke era direct from France! It is printed by a professional. Signed by hand on top of the print. 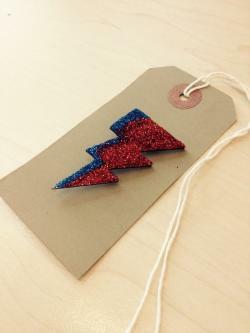 Minimum bid is £28 (Bid increments are £3). This David Bowie Ashes To Ashes Pierrot Clown has been handmade using a basic sewing machine and a good dose of love and care. The image is not printed on but sewn with a machine and embellished by hand. Using blue linen for the body of the clown, overlade certain parts with sparkly fine lace. The details have been thread sketched and finally added beads and sequins where the embellishments on the clown costume should be. 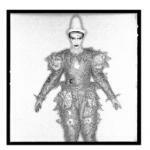 Inspired by the the costume from the V and A Exhibition 'David Bowie Is' to catch the details and reproduce them. 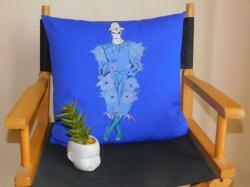 Body Of the cushion is strong cornflower blue cotton canvas with linen overlay. 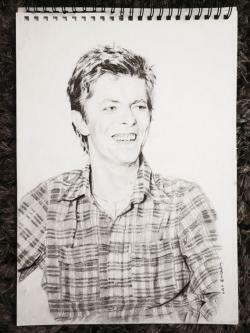 This is a print of a drawing of David Bowie. This print is from an original piece by Amelia Clark. 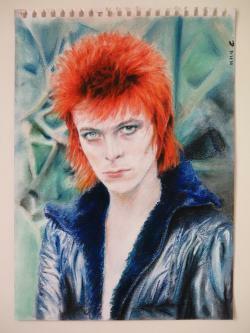 This is a print of a drawing of David Bowie, in his Ziggy Stardust era, direct from France. 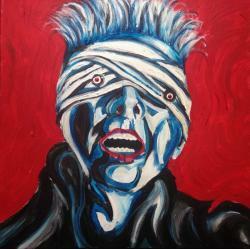 "Put on your red shoes and dance the blues" mounted print. 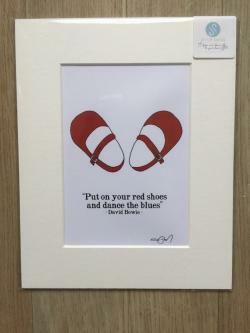 Print is of a digitally drawn pair of red shoes/retro/vintage style with the words "Put on your red shoes and dance the blues - David Bowie" written below in black text. It's probably one of our most popular prints along with our "There is no place like home" print. Mounted print to fit a 10" x 8" (25cm x 20cm) frame. Provided mounted with a backing board in a cellophane envelope. 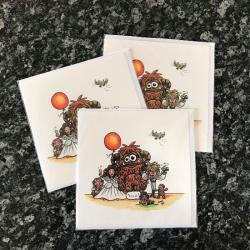 Each item is produced as a set of six folding greetings card at A5 [148 x 210 mm / 5.83 x 8.27 ] with blank insides and comes with an envelope per card. Minimum bid is £33 (Bid increments are £3). 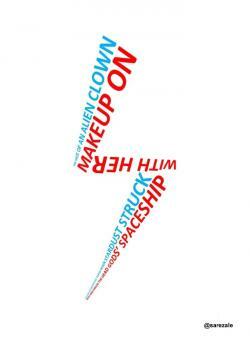 Aladdin Sane inspired visual poem by poet and performer Ernesto Sarezale. A3 print in a glass clip frame. 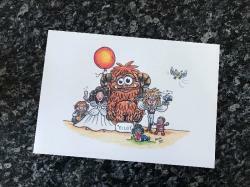 Professionally printed and signed by the artist. A unique piece of playable art! 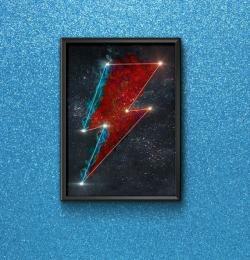 Sample: "There's a Starman waiting in the sky"
Brighten up your home or workplace with this Star Constellation inspired by David Bowie's Ziggy Stardust lightning bolt - a perfect tribute to the Starman himself. This A4 print comes printed on 300 gsm white card stock, and is delivered unframed in a protective postal tube. 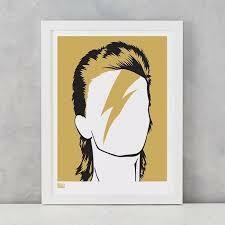 The Bowie Constellation is part of Shona's 'Rock Star Signs' series - which currently features star constellation tributes to Prince and Motorhead. Minimum bid is £19 (Bid increments are £2). 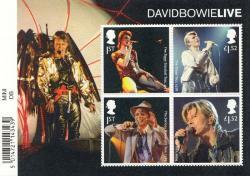 The four stamps feature live shows including the Ziggy Stardust Tour and the A Reality Tour in a presentation pack. Background image is taken from the Glass Spider Tour. 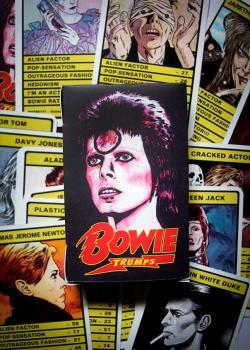 Box of BOWIE 'Top Trump' Cards! Minimum bid is £25 (Bid increments are £2). 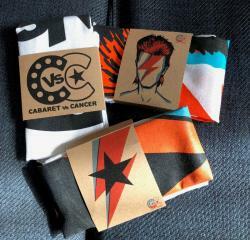 In the style of the Classic 70s point battling card game, this is the ultimate Bowie fan tribute! 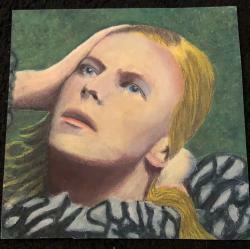 Each of the 30 cards features original artwork depicting one of Bowie's personas; from longhaired young upstart Davy Jones right though to Black Star's unsettling Button Eyes. Visiting a cast of his most famous characters (Ziggy Stardust, The Thin White Duke, Jareth the Goblin King) as well as some of his lesser-known creations (Nathan Adler, Screaming Lord Byron, Boz) along the way. Battle it out with the categories of ‘Alien Factor’, ‘Pop Sensation’, ‘Outrageous Fashion’, ‘Hedonism’, ‘I'm An Actor!!!' 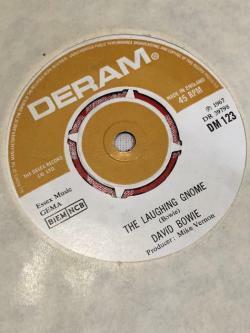 and ‘Bowie Rating’. 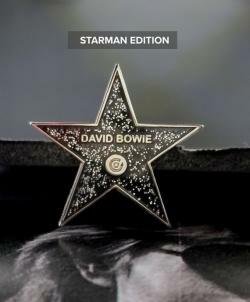 A perfect gift for any Bowie fan or anyone just interested in learning more about his fantastical array of characters. This is a super limited first-printing. Professionally printed, 32 card set (inc. instructions), 330gsm, laminated, casino quality, Trump size cards (100mm x 62mm), packaged in a printed slip box. David Bowie was a genuine chameleon, creating music and stage shows of true originality. 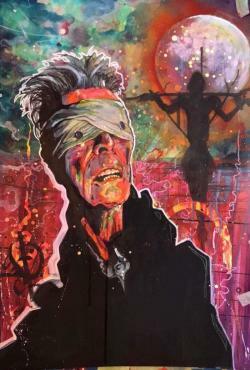 The Pack explores his career and creativity from his early influences to the jazz-influenced rock of his final opus Blackstar. Features all six Special Stamps and the Stamp Sheet. 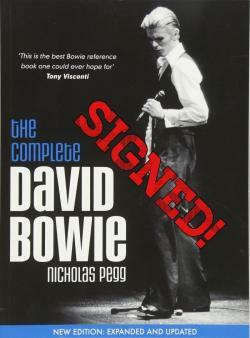 Replete with images, and with text by Bowie expert Nicholas Pegg. 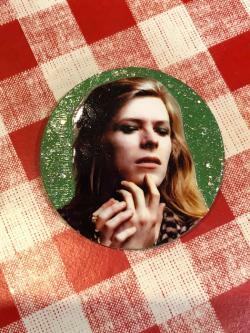 We here at Cabaret vs Cancer love this unusual love of Bowie pin. 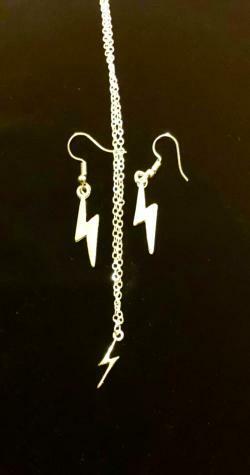 This auction is for a set of lightning bolt earrings & necklace. 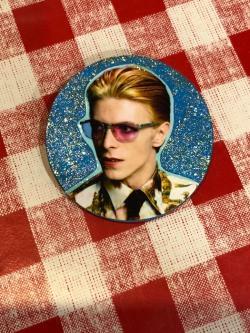 David Bowie lyrics inspired enamel pin! 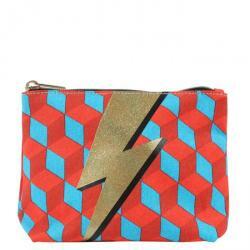 Great for any David Bowie fan! 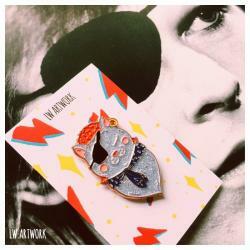 Made and donated by LW Artwork, this cute little Bowie Pin! 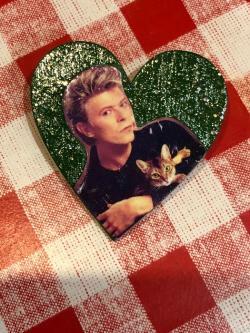 David Bowie Halloween Jack Kitty Glitter Enamel Pin! 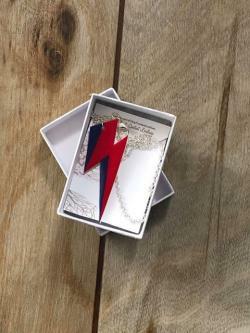 Digitally hand drawn David Bowie Inspired Ziggy Stardust Lightning Bolt necklace. Digital Illustrations drawn by hand on Adobe Illustrator or Photoshop using a Wacom Bamboo Graphics Tablet. 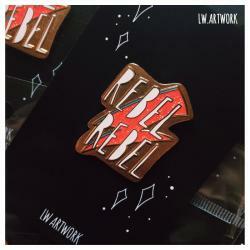 Each item is hand crafted and varnished to preserve the illustration. 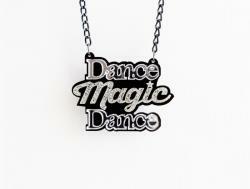 The item is then added to silver plated chain. Packaged on a branded backing card and placed inside a silver card gift box to ensure safe travelling. Inspired by all of my favourite things. This is a case for the IPhone X - made by Paperchase in late 2018. 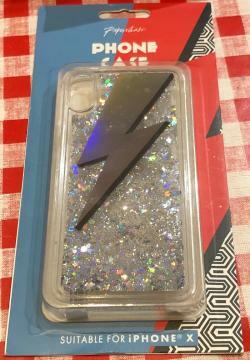 A see through case featuring a silver ‘flash’ with silver floating glitter. 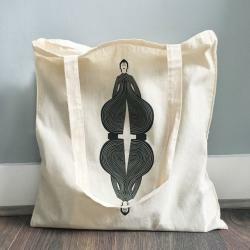 - Size Approx 38cm x 41cm with long handles. Single Sided Print. 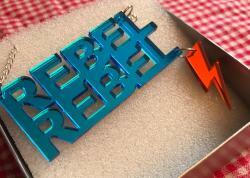 - Screen Printed, so the graphic pattern stands out crisp and sharp. Is it a cat? 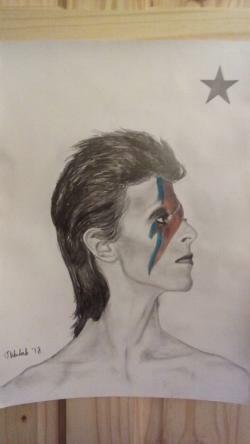 Is it bowie? The wearing of exotic, spacey, Japan-inspired outfits put Japonism centre stage in the fashion scene of the West, placing a seal of approval on inspirations from Japan, which in the early ’70s was still considered an indecipherable, alien nation. 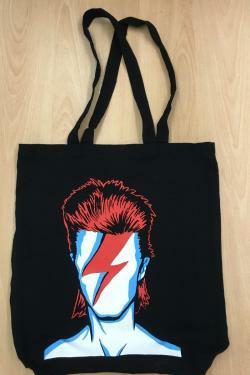 This unique tote will stand out amongst the sea of totes this summer, and is a great gift for Bowie fans! 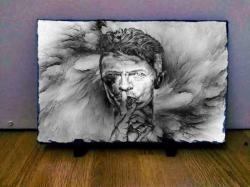 This sketch art of David Bowie on slate is incredible! The slate also comes with a stand so it can be displayed. Hand drawn and then scanned and printed onto sublimation paper with sublimation ink, it is then heat pressed for 6 mins at a high temperature with a heat press, this means that the ink turns into a gas which then stains the slate rather than transfering the ink onto the slate! 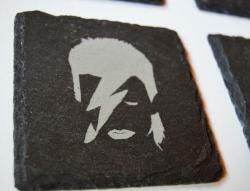 100% waterproof and the image will never fade or come off the slate, these can even be cleaned in warm soapy water. Each slate is individualy cut so the edges on each slate is different to what you may see in the picture on this listing. 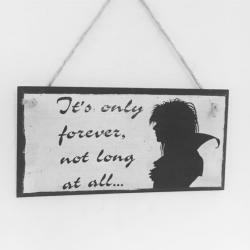 Tribute to the late David Bowie with this The Labyrinth inspired wall plaque! 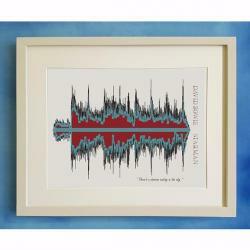 David Bowie Starman Playable Sound Wave ART MUG! 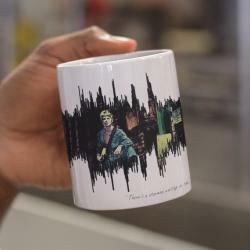 Unique piece of playable art on a mug! 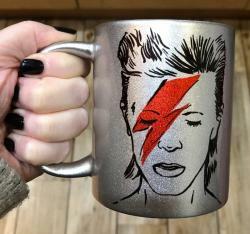 This silver glittery mug is quite hard to capture but features this silhouette on both sides. A good sized handle and quite an addition to your kitchen! This mug is only available from Supercat Publishing. 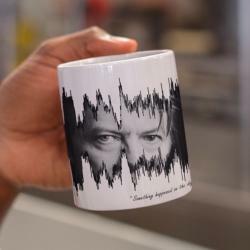 David Bowie Playable Sound Wave ART MUG! 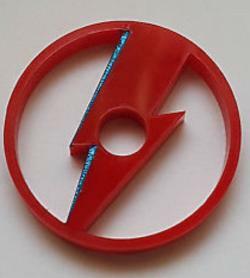 THIS IS MADE FROM DURABLE ACRYLIC PLASTIC. THE ADAPTER IS NICE AND CHUNCKY AT 5mm IN HEIGHT. LIGHT WEIGHT AND EASY TOP HANDLE. CAN BE PERSONALISED - PLEASE ASK FOR DETAILS.. 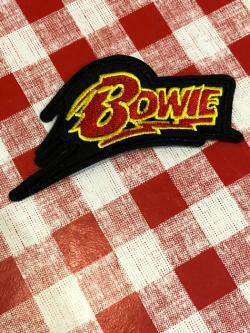 PERFECT FOR USE AS A THROW OVER FURNITURE SUCH AS SOFAS, BEDS, CHAIRS, ALSO IDEAL FOR USE IN THE CAR, TO TAKE ON PICNICS, AS A LEG WARMER ETC..
An homage to David Bowie. 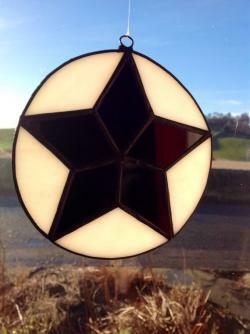 This glass suncatcher style item is 12cm in diameter. An iconic image, for an iconic man. As per the images, you can stitch it with or without the "WWBD" text, depending on your preference. 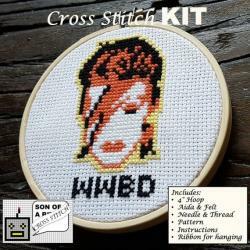 A modern cross stitch kit, which includes everything you need to make an awesome cross stitch piece. A great project for anyone from absolute beginners to seasoned stitchers, and makes a fantastic gift for those hard to buy for (and easy to buy for!). 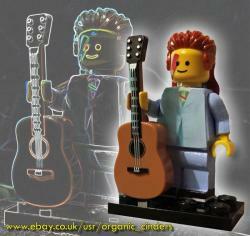 Bowie Lego mini figure with guitar, on Lego plate to allow him to stand securely. For the second year Cindy is donating an amazing Bowie Lego figure.... BUT this year he has a GUITAR! Minimum bid is £11 (Bid increments are £2). 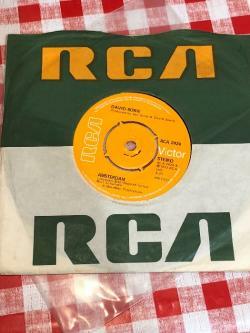 Minimum bid is £59 (Bid increments are £2). 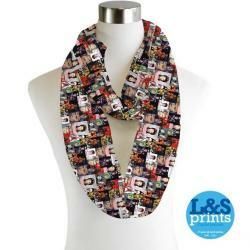 THIS BEAUTIFUL PRINTED SCARF IS GREAT AS A SPECIAL GIFT OR AS A FABULOUS ADDITION FOR ANY FASHIONISTA'S WARDROBE COLLECTION! Set of 4 Slate coasters! This auction is for a set of four slate coasters. 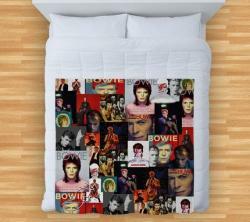 Iconic and a must for every Bowie lovers home! 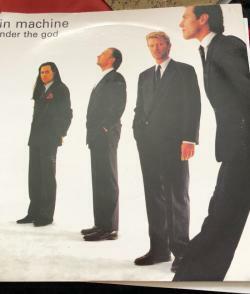 Two TIN MACHINE 7” records! 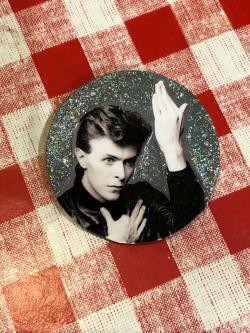 This Bowie hand crafted glitter pin is super cute! Made with a wooden circles then painted with vibrant colours. With added glitter! Please note that the pins are not 100% waterproof. So I wouldn't recommend wearing when raining. Minimum bid is £8 (Bid increments are £1). Minimum bid is £10 (Bid increments are £1). Made with a wooden heart then painted with vibrant colours. With added glitter!